On this August 6 and 9, we gather with people of faith and conscience across the globe to mark the anniversary with a daily presence of prayer and action. 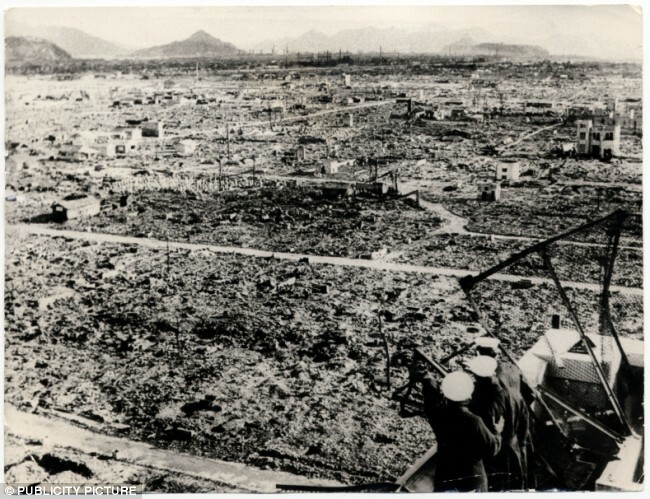 As citizens of the United States, we invite people to publicly ask God for forgiveness for the U.S. atomic bombing of Hiroshima and Nagasaki, which caused the immediate death of more than 200,000 people, and hundreds of thousands more who died in the aftermath as a result of radiation poisoning. Pope Paul VI, in his 1976 World Day of Peace Message, described the bombings as "a butchery of untold magnitude." Now is the time to pursue nonviolent alternatives to war and proclaim a Jubilee Year of Mercy, as both the Scriptures and Pope Francis suggest: to restore justice for the poor; to lay the foundations for peace; and to seek a nuclear-free future for our children. In that spirit, we renew our commitment to the biblical vision of peace, a world without weapons or war, expressed so well by the prophet Isaiah: On that day, “God will rule over all nations and settle disputes for all peoples. They will beat their swords into plowshares, and their spears into pruning hooks. Nation shall not raise sword against nation; nor will they train for war anymore” (Is 2:4). "At 8:15 a.m., the time the bomb was dropped on Hiroshima, Santa Fe was blessed to wake up to streets washed in rain."